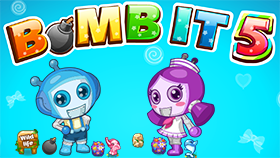 Bomb It 7 is the seventh episode of the incredibly fun and addictive bomb game series developed by Agame.com. 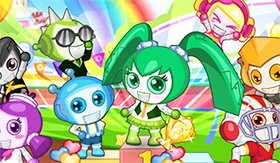 In this part 7, the game retains the features of the previous section as cute graphics, bright colors and suitable for all ages, especially children and family. - There are 8 characters for the player to choose from. 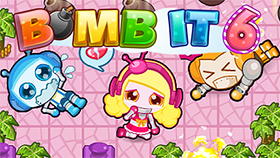 - Allows custom buttons to control the character to the player's liking. - There are 7 types of Power-Up items. - There are 7 types of Weapons Item (completely different from Section 6). - There are 4 types of Vehicles (completely different from the 6th). - There are 9 different fashion items. - Support for 23 different languages (totally different from the 6th). - Added Missions system (extremely interesting). 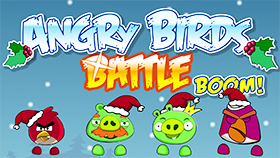 After selecting the game mode, you can customize the number of players, the number of players in the map, levels, arena and finally the difficulty of the stage. 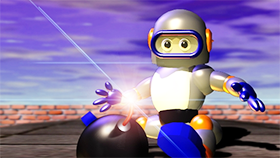 - Arcade: Destroy all enemies. - Battle Royale: Kill 10 enemies. 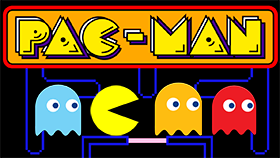 - New Pac-man: collect 100 coins. - Star collector: collect all stars. - Ice man: freeze 10 monsters. 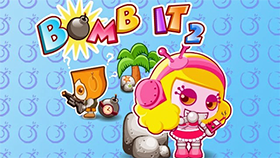 Characters and maps as well as items are designed to look cute, and with fun music, the game will bring you hours of extreme comfort and fun.